The new PR-ECO Minespec LED Mobile Lighting Tower is an extra low-voltage 48V unit that's built mine tough, featuring an efficient 2-cylinder diesel engine that delivers super bright light and significant fuel savings. Mounted on a road ready, heavy duty, mine spec trailer and producing maximum light visibility and performance for continuous night work, in a wide range of applications including mining, rental, construction, industrial and civil works. A central control point has also been incorporated for added operator safety and convenience. Adjustable heavy duty tow bar, central lifting point and forklift pockets make the unit easy to transport to site. 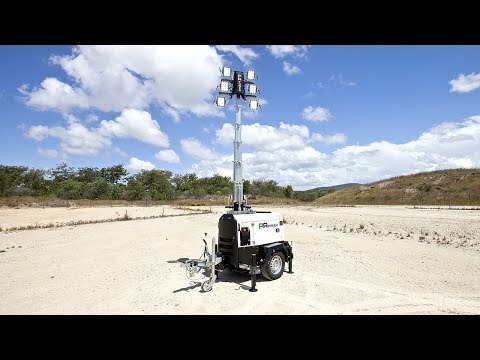 The PR-ECO MINESPEC LED lighting tower is easy to operate and built tough on a heavy duty Mine Spec Chassis. It has a central operating point, 350 degree mast rotation and 9m vertical hydraulic mast extension. 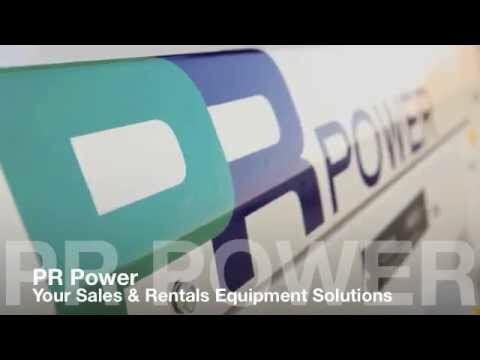 The PR-ECO MINESPEC LED is available for sale & rental and supported by the PR Power branch network Australia wide.